This is a collection of Charset modules designed to expand the Minecraft rail and minecart system. Dyeable Minecarts - allows minecarts to be dyed by shift-rightclicking them. Works with resource packs! Rails - adds the Crossing Rail, a rail in a + shape. More planned! Can you add changelogs for these updates? I love your mods, by the way! The changelogs always live on Charset Lib's project, as they are written for the mod collection as a whole. [08:05:56] [Client thread/INFO] [FML]: FML has found a non-mod file Charset-TransportCartsRails-0.5.0.113.jar in your mods directory. It will now be injected into your classpath. This could severe stability issues, it should be removed if possible. I have my own plugin loader on top of the Forge mod loader for various reasons. This is fine. Hello. I ran into an issue where you cannot dye the carts when Railcraft takes over the minecarts as opposed to Minecraft. Looked in the configs and did not see a way to force Minecraft Carts or override the dyeing. Just wondering if there can/will be support for Railcraft minecarts, and if I should direct this to you or them? Follow the terms of the license. What's the crafting recipe for the crossing rail? 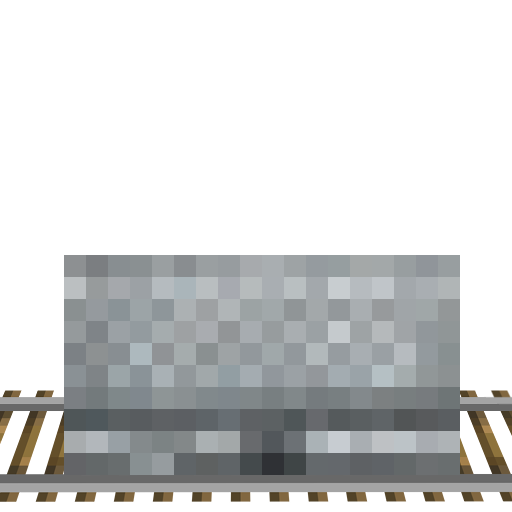 Should be four rails in a diamond 3x3 shape last I checked? Okay - thanks - kept putting a fifth rail in the middle. Any chance of you adding simple cart-linking to this mod? This has beeen planned for a long time, but I have no clue how to tackle the physics involved yet. The lack of clear licensing information means I cannot really use it as an aid. how is there a storage drawer in a minecart? That's not a Storage Drawer! That's a Barrel from my other mod, Charset Storage - Barrels, which adds its own barrels, complete with special Barrel Carts. Maybe add a tooltip to railcarts so that people know that they're dyeable or at least add the recipes to JEI in a category - most people playing on servers / modpacks are not going to go and look up this mod to find out they can do this.